The highly anticipated limited edition by photographer Shimpei Asai, HELLO, GOODBYE: The Beatles in Tokyo, 1966, is now available to pre-order. Genesis readers are invited to be the first to view and to secure a Deluxe copy from this edition of only 1,966 copies worldwide by clicking here. 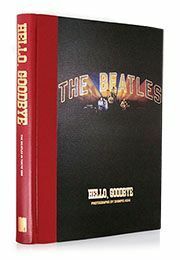 The first 350 copies in the HELLO, GOODBYE limited edition (numbered 1 to 350) are Deluxe boxed sets. Hand-crafted in a full leather binding with gold and silver foiling, Deluxe copies are presented with an exclusive, artist-signed 8" x 10" giclée that is suitable for framing. Shimpei Asai, whose Beatles photo essay is now being published for the first time outside of Japan, has selected this Deluxe print for inclusion. 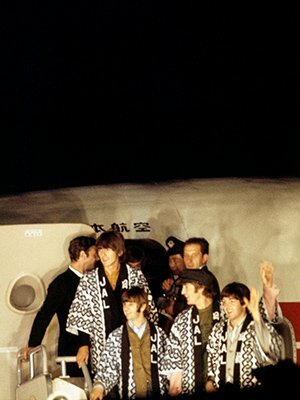 The image depicts The Beatles' arrival at Haneda airport 50 years ago. Order today or request a brochure by postal mail.